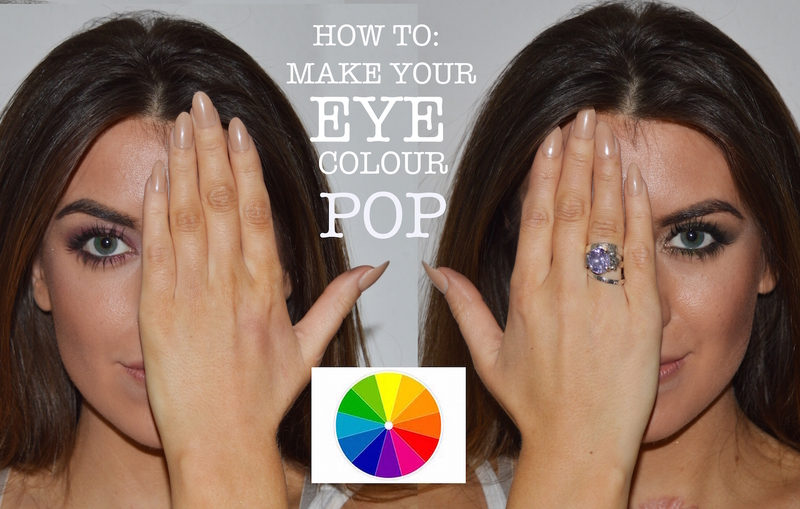 Make your eye colour POP! So I’m all about making green eyes look greener, blue eyes look bluer and hazel/brown eyes look deeper!…. There is such a simple eyeshadow trick to do it so that you can make the most of your eyes! Introducing the colour wheel… By taking inspiration from the opposite colour to your eyes you can incorporate these tones into your daily eyeshadow, without walking around with BRIGHT red eyes for example! You can also take a complimentary colour, such as khaki for example for green eyes and it have a similar effect! Blue eyed beauty’s stick to bronzes with orange hues to get a striking look, hazels can bring out different flecks by using different colours & browns can smoulder in virtually any colour! Below is my tutorial about how to subtlety introduce an undertone to make your eye colour pop! Previous Article← Quick guide to back comb and Volume!